Restore Balance by Strengthening Your Spiritual Life – Kathy J. Marshack, Ph.D.
After struggling for years to make ends meet, many parents say, “I don’t want my children to suffer or work as hard as I had to.” This brings up the question: Is suffering really a bad thing? Viktor Frankl, a survivor of a Nazi concentration camp, wrote, “Man is not diminished by suffering but by suffering without meaning.” Many people do suffer as a result of having allowed their lives to become unbalanced, of crossing boundaries in unhealthy ways, and of denying the inevitability of change. In order to restore balance, you must create a healthy lifestyle for yourself and the ones you love and work with. If you have been attending to the mind and the body, you are well on your way to a healthy integration of intimacy, family life, and meaningful work. However, until you assess and address the strength of your spirit, you will not achieve true balance or prosperity. How do you do that? Remember that spirit is not bound by religion. But as Frankl suggests it defines the meaning of life. Many successful people have a strong sense of spirit and they do believe in God. The spirit connection is not just a belief in God but the ability to relate to God, often through communities such as churches provide. The healthiest Americans are often members of those religious groups that have a strong identity with their church. 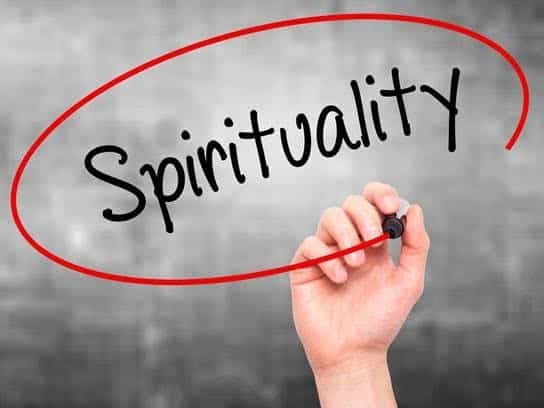 It’s not the religion per se that contributes to overall health, but the intensity of the commitment to spirit, whether by being a member of a religious community or by maintaining a spiritual practice or connection in some other way. Although most Americans believe in God, many of us are prone to having fragmented and impersonal lives, which leads to hedonism, increasing drug addiction and other health problems. Spirituality in the sense of the expression of our spirit is not a regular part of our lives because so many of us have abandoned religion. According to Kabbani, a physician and author on Islamic spiritual healing practices, religion gives us something to believe in, an identity, a way to know ourselves in relation to others. Churches, therefore, provide a community within which to know ourselves, to belong, and to repair our fragmented lives. Since for years I’ve worked coaching entrepreneurial couples, I know many of them list church attendance as one of the last things on their list of things to do. After all, you are busy people, working fifty to sixty hours a week. When would you find the time? You barely have a few moments to eat a quick meal and watch television before falling into bed at the end of your day. However, just as you have reevaluated other aspects of your life and business plans, you need to reevaluate your spirit connection. Chapter 10 of my book, Entrepreneurial Couples – Making It Work at Work and at Home, helps you do a deeply, personal self-examination on living a balanced life. If you have questions about what you read, I’m available for an online Q & A session.